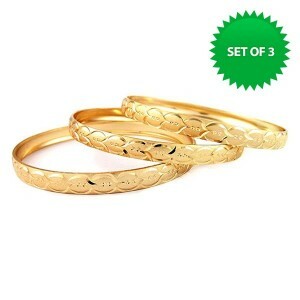 18K Gold Plated Diamond Cut Bangles Only $9 Shipped! You are here: Home / Great Deals / 18K Gold Plated Diamond Cut Bangles Only $9 Shipped! What a great deal at Maxwell’s Attic! 18K Gold Plated Diamond Cut Bangles Only $9 Shipped! This is a gorgeous piece to grab for Valentine’s gifts! Sign up for Maxwell’s Attic and confirm your email to receive a $5 off $10 coupon.